Goodreads Summary: There’s an island off the coast of Maine that’s not on any modern map. Shrouded in mist and protected by a deadly reef, Trespass Island is home to a community of people who guard the island and its secrets from outsiders. Seventeen-year-old Delia grew up in Kansas, but has come here in search of her family and answers to her questions: Why didn’t her mother ever talk about Trespass Island? Why did she fear the open water? But Delia’s not welcome and soon finds herself enmeshed in a frightening and supernatural world where ancient Greek symbols adorn the buildings and secret ceremonies take place on the beach at night. Sean Gunn, a handsome young lobsterman, befriends Delia and seems willing to risk his life to protect her. But it’s Jax, the coldly elusive young man she meets at the water’s edge, who finally makes Delia understand the real dangers of life on the island. Delia is going to have to fight to survive. Because there are monsters here. And no one ever leaves Trespass alive. First of all, this cover is gorgeous and I'd want to read it for that alone. But I also find the idea of a hidden island with supernatural secrets intriguing, and I want to know what exactly happens on Trespass Island. 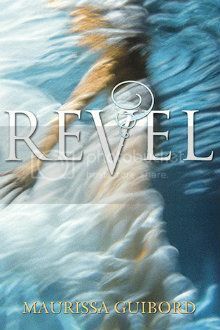 Revel sounds interesting and creepy. Good choice.